Green Bay Packers quarterback Aaron Rodgers underwent surgery Thursday on the broken right collarbone he suffered in last Sunday’s loss to the Minnesota Vikings at U.S. Bank Stadium. The rehabilitation process now begins for the six-time Pro Bowler. 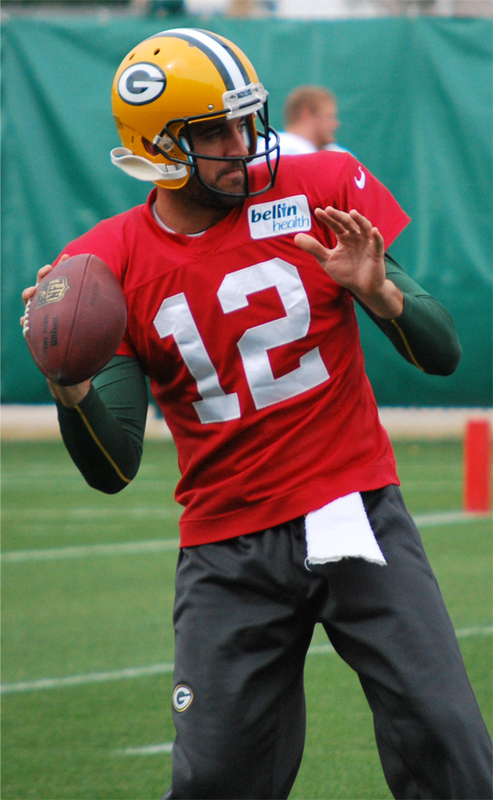 The Packers said there’s a chance Rodgers will miss the rest of the season as he recovers from the injury. 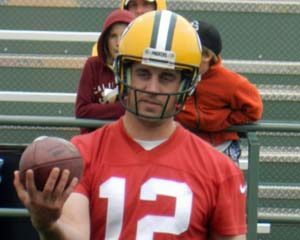 It remains to be seen if Rodgers can return before the end of the Packers season. Brett Hundley takes over at quarterback for the Packers until Rodgers can return. Hundley will make his first regular season start against the New Orleans Saints at Lambeau Field on Sunday. John Kuhn spent nine seasons as a fan favorite in Green Bay, but he didn’t get a new contract with the Packers after the organization decided to go with second year fullback Aaron Ripkowski. The three-time Pro Bowl fullback signed a deal with the New Orleans Saints on Friday, making it the third team he will play for in his career. Kuhn started with the Pittsburgh Steelers before signing with the Packers. He was a Pro Bowler in each of his past two seasons and was voted a playoff captain by his teammates last season. 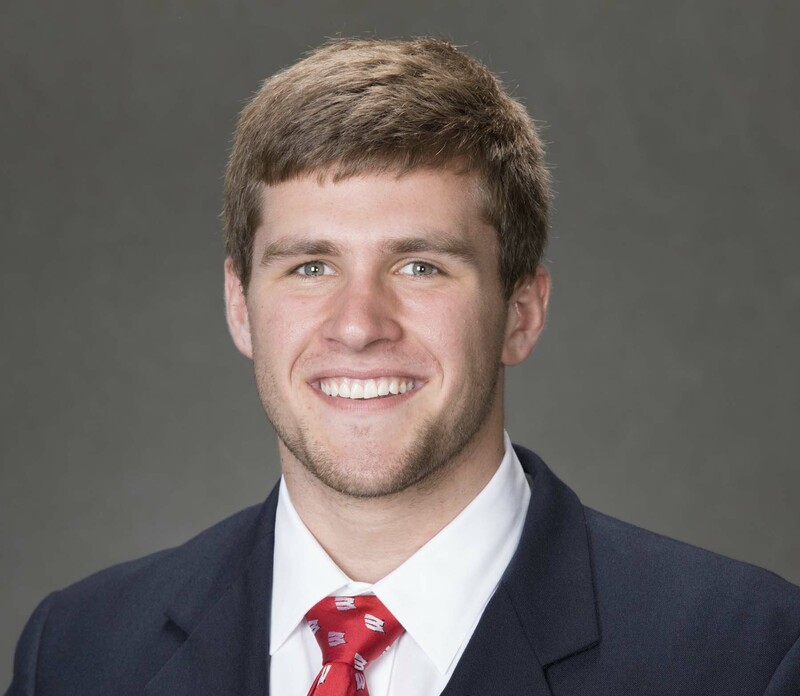 Kuhn continued working out, hoping to latch on with an NFL team. Kush rushed for 601 yards and 15 touchdowns with the Packers. He also caught 81 passes for 572 yards and eight touchdowns. Former Green Bay Packers wideout Brett Swain signed a 2-year contract with the Seattle Seahawks on Monday. Swain was a 7th round draft pick of the Packers in 2008. He had a hard time making it on offense with the Packers deep receiving corp. His primary role came on special teams. Swain caught 6-passes for the Packers during the 2010 season. Former Wisconsin Badger Jim Leonard has agreed to terms on a 1-year contract with the New Orleans Saints. The 8-year veteran played for Denver last season, playing all 16-games with 1-start. Leonard had 2 interceptions on the year. Leonard also spent time in the NFL with the Buffalo Bills, Baltimore Ravens and the New York Jets. Is Rodgers poised to have a breakout game against the Saints defense? The Green Bay Packers (1-2) and the New Orleans Saints (0-3) are two NFC powerhouses that are off to slow starts this season. In what could be a make or break game for either team’s playoff dreams, the Packers face a dangerous Saints team on Sunday afternoon at Lambeau Field. Head coach Mike McCarthy believes the Saint’s record doesn’t reflect the quality of the team. Drew Brees and the Saints offense, which is not firing on all cylinders, is still to be respected and categorized as “explosive” according to McCarthy. Linebacker A.J. Hawk feels there is a strong need to disrupt and pressure Brees. Given time, Brees could make the Packers pay. While the Saints have struggled at times on offense, so have the Packers. The Packers look to improve on last week’s rushing performance which saw running back Cedric Benson lead the team with 45 yards. They’ll have a chance against a Saints defense which allows, a NFL-worst, 215 rushing yards and an average of 34 points per game. The Saints are allowing an average of 262.3 passing yards per game and have only managed one interception this season. That also bodes well for Packers QB Aaron Rodgers. He’s been sacked a total of 16 times in the first three games and the Packers offense has produced just four touchdowns so far. For the Saints, this game is must-win. Only three teams have made the playoffs after a 0-3 start since 1990, and none have made it into the conference championship game. For the Packers, they look to get to .500 with a win. They’ll play the next three games following Sunday on the road. While the “Fail Mary” and it’s effects are still being talked about and highly debated, the Green Bay Packers can no longer linger about what happened Monday night. The next major test for the team comes this Sunday when the New Orleans Saints come to town. The Saints have struggled with their own controversies, seeing a number of players suspended during the off-season, and head coach Sean Payton suspended for the entire 2012 – 2013 season. “Looking into a mirror” is how defensive tackle B.J. Raji described the week four matchup. With Sunday’s game against the potentially powerful Saints looming ahead, the Packers held their first practice of the week. This practice, which introduced the game plan for Sunday’s game, helped the team move on according to wide receiver Randall Cobb. Linebacker A.J. Hawk believes the shorter week will also help the team move on. Last season’s opening game saw the Saints travel to Green Bay, which resulted in a Packers 42 – 34 shootout victory. Cobb believes the Packers’ offense can replicate last season’s week one win, while the defense will not allow the same result. The Green Bay Packers look to leave Monday night and all of its controversy behind them as Drew Brees and the 0-3 New Orleans Saints visit Lambeau Field. After a lengthy appeal process, the NFL has upheld the suspensions of Packers DL Anthony Hargrove and 3-other Saints players for their roles in the recent bounty systems. Johnathan Vilma was suspended an entire year, Will Smith will sit 4-games while Scott Fujita, currently with the Browns, will sit the first three games. The NFL invited the players to sit down and talk with the league and the suspensions could be reduced from there if new information came about. The players reportedly will take the next step in their appeal which is the Supreme Court. Hargrove signed a one-year deal with the Packers this off-season. for their roles in the New Orleans Saints’ bounty scandal. Linebacker Jonathan Vilma was hit the hardest. He’s been suspended for the entire 2012 season. 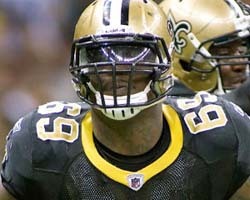 Defensive tackle Anthony Hargrove (now with the Green Bay Packers) was suspended eight games. Defensive end Will Smith got 4-games and linebacker Scott Fujita (now with Cleveland) will serve a 3-game suspension. All of the suspensions are without pay and can be appealed. A NFL investigation found that from 2009-11, New Orleans coaches and players put together a bounty system that paid out cash bonuses for hits aimed at knocking opposing players out of games. Saints coach Sean Payton is out for the entire 2012 season, former Saints defensive coordinator Greg Williams is suspended indefinitely and Saints GM Mickey Loomis has to serve an 8-game suspension. Assistant head coach Joe Vitt has to serve the first 6-games of the upcoming season. Hargrove signed as a free agent with the Packers during the offseason. The 1-year deal is worth the veterans minimum of $825,000 and didn’t include a signing bonus. That means the Packers could release Hargrove if they so desired, without owing him anything.